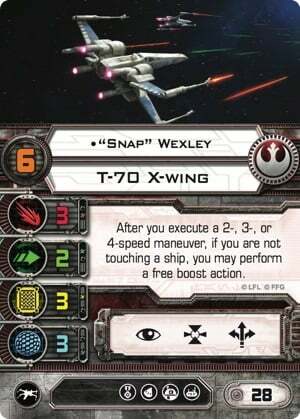 X-Wing allows us to bring together characters who otherwise might not meet or work together. What do you think they think about that?As we know from the Law of Multi-Continuity Non-Interference, X-Wing allows us to bring together characters from all over the continuity– and some that aren’t in the canon any more, for good measure. You might well imagine that could make for some awkward conversations if they were forced to fly together. I did imagine, and here’s what I came up with. Norra: Alright, son, form up on my wing and follow me in. Snap: Uh… mom, my ship is faster. And I’m a recon pilot. Norra: You will not be pushing any limits in THIS sector, young man. Norra: Get on my wing or I’m turning this squadron around right now. Snap: Okay, FINE, but I’m NOT happy about this. Norra: Some day you’ll thank me for it. Just stay on momma’s wing and let me show you how it’s done. Snap: I should be flanking. Norra: You can’t even run with scissors safely, I don’t trust you out there doing boosts and barrel rolls on your own. Snap: Hey, hey, I had bacta therapy and it’s much better now, there’s hardly any scar left. Norra: I don’t care, I’m still emotionally scarred. You’re not going flanking. Snap: You’re just upset because you never got to boost or barrel roll when you were a young pilot. Norra: Okay, first, almost everyone gives me Vectored Thrusters these days. Second, what’s the point of all that fancy flying if you can’t get the job done once you get there? 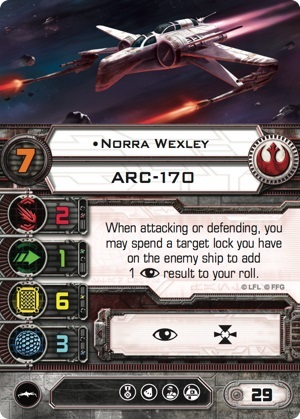 Norra: Blah blah, I can’t hear anyone who’s lower than Pilot Skill seven! Snap: Hey, that’s not what Aunt Shara says! Norra: Blah blah, form on my wing, momma’s got work to do! Snap: This is so uncool. Bossk: I hear you’ve saved a bunch of wookies from slavery. Sabine: Where did you hear that? Bossk: What did you do with them? 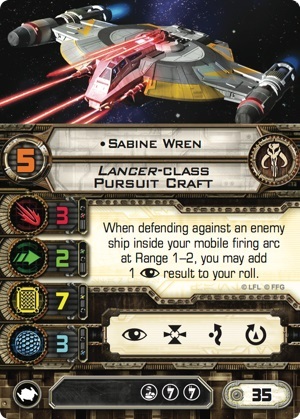 Sabine: I beg your pardon? Bossk: I’m just asking. There are plenty of people in the galaxy who are very, very interested in the location of wookie slaves. Like… their families! It would be a shame if their loved ones didn’t know how to find them. Sabine: You are out of your reptilian mind. Bossk: Why would you say that? I just have a natural curiosity. Sabine: I’ve got something else to sate your curiosity. Let’s talk about all the things I can make explode. Bossk: Uh… I’m not at all curious about that, actually. Sabine: I can make water explode. You need the right materials, but it’s doable. Bossk: I didn’t need to know that. Sabine: In fact, let’s talk about the things I can’t make explode– that’s probably a shorter list. Bossk: I think I might never be curious again. Kylo: So… how am I doing? You know, as a Bad Guy. 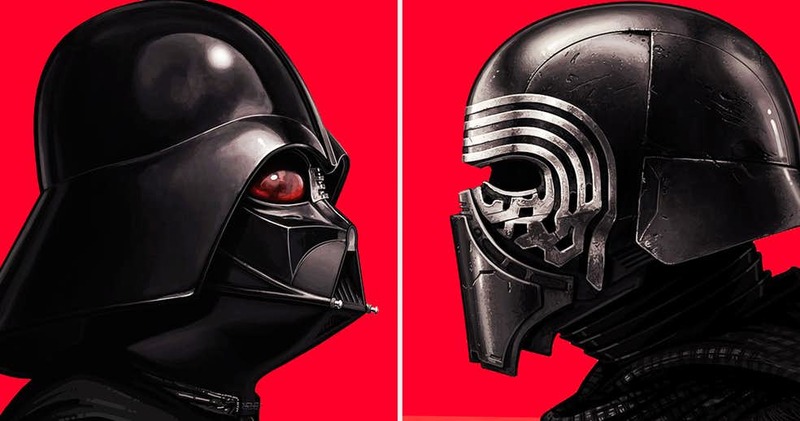 Kylo: I have the mask. And the scary presence, and the impractical-looking shuttle, and the red lightsaber, and the intimidating Dark Side Force powers. Kylo: Did you just sigh? I didn’t think that respirator would let you sigh. Vader: …I was just thinking that you remind me of myself when I was younger. Vader: It’s not a compliment. Vader: It’s close to the opposite of a compliment. Kylo: So I’m a disappointment. Vader: I knew this was a possibility. I thought that with two kids I would have twice the odds of having decent grandkids. My mistake was in assuming that both kids would actually produce grandkids, and apparently no one can stand Luke long enough for that to happen. 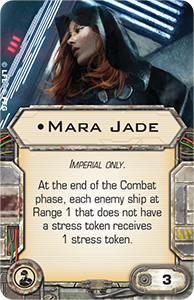 (Mara Jade enters stage left): Excuse me? Mara: I had three kids with Luke, thank you very much. Vader: This is a canon-characters-only discussion, and you’re not canonical anymore. Mara: Yes I am. I was at Jabba’s palace in “Return of the Jedi”. Vader: You were? Really? Why? Kylo: Well, sort of… We’re firmly in the “It’s Complicated” zone. Vader: Have you tried seducing her with the power of the Dark Side and a promise to rule the galaxy together? Kylo: Yeah. It didn’t work. She’s kinda… not into the whole Dark Side thing. Kylo: Wait, so if you blew it too, how am I the disappointment? Vader: There’s the temper tantrums, for starters. Kylo: Oh, says the guy who blows up his own ship? 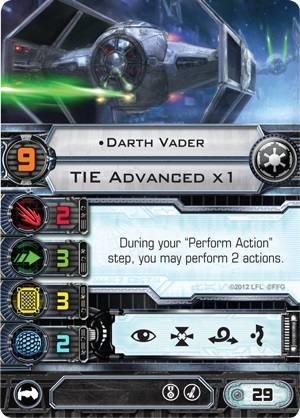 Vader: Crew cards? 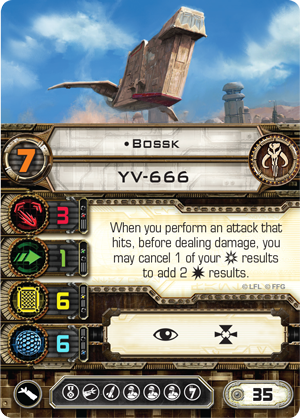 I find your faith in crew cards disturbing. Pilots have been trying to Push the Limit to be me for years– but I am the limit. 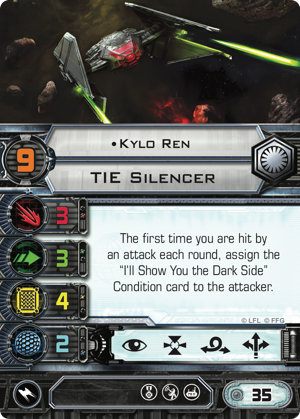 Kylo: In a two-attack ship. Vader: That’s not my fault. Kylo: But you’re still in a two-attack ship, ha ha! 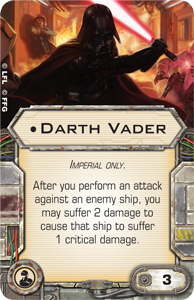 Vader: Only to give everyone else a fighting chance. It’s simple, whelp: put me in your ship and everyone in the galaxy will be needing to wear helmets because I will have melted all their faces off. Put you in my ship and you’d be making Fel’s Wrath look popular. Mara: From the top rope! The referee’s waving off the fight! It’s over! It’s all over! ~Thanks for reading and don’t forget to tip your waitstaff!